I have just spent the whole morning taking various OOTD post’s which I can schedule to post over the next few weeks/months while I’m revising for my exams.. organised or what?! I finally jumped on the bandwagon and bought myself a pair of disco pants I wasn’t keen on them at first but as always, they grew on me and I knew I needed some in my wardrobe. There was no way that I could afford the American Apparel’s so instead I reached for some Asos dupes costing me £30 (which I still owe my mum, oops). I paired them with my H&M blouse, simple flats and a leather jacket for a bit of warmth. 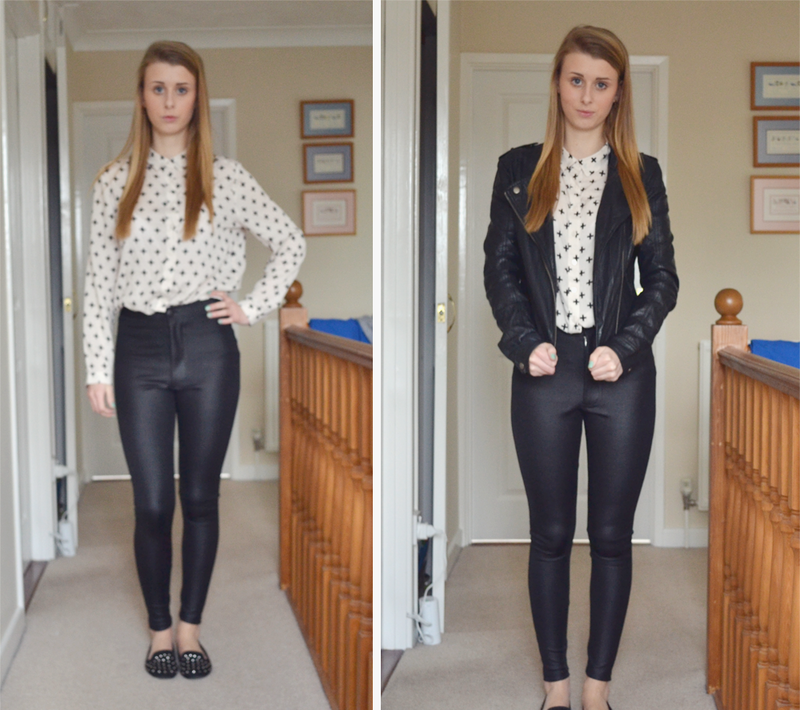 I wore this outfit on Thursday at Little Mix’s gig. They are just as good live as they were on X Factor! I feel absolutely exhausted today and have to play football tomorrow before I’m back to school on Monday. That means that unfortunately my posts are going back to only one or two a week as I need to concentrate on my schoolwork, but I’m determined to schedule at least one thing a week so I don’t abandon my blog and amazing followers! Hope you all have a great day!